We are so happy to share that we just celebrated our 5 year anniversary in business as Tampa’s most stylish bridal boutique! To celebrate our anniversary we came up with the idea to produce a luxurious fashion show to showcase the best of what we have to offer. We were inspired by our experience at New York Bridal Fashion week, where we attend designer runway shows and private showcases where we hand-select each gown and accessory that is sold in our store. We are always so excited upon returning from our buying trips, that we thought, “What better way to bring some of that excitement home for our Tampa brides to experience? “. Our “Evening of Bridal Fashion” was hosted at the Le Meridien. Le Meridien was the perfect venue for our fashion show because of their chic and unique space offerings and luxurious historical setting. We teamed up with wedding planner, Ashley of Love Lee Lane, who helped us plan and design the production of the fashion show and with the assistance of local wedding blog, Marry Me Tampa Bay, we collaborated with the best wedding vendors in Tampa Bay to make the vision come to life. To create a true high-fashion runway experience, we chose gowns from our amazing couture designers, Galia Lahav, Ines Di Santo, Rivini, and BLISS Monique Lhuillier and completed each look with accessories from Maria Elena Headpieces. We want to extend a special thank you to all of the vendors in addition to Le Meridien, Love Lee Lane and Marry Me Tampa Bay who helped make our fashion show, not only beautiful, but a successful and fun event! Our runway event space was made all the more chic with furnishings from A Chair Affair and Kate Ryan Linens. Michele Renee The Studio created looks for each model that fit the theme and gowns, using dramatic gold highlighted cheekbones and dark berry lips. 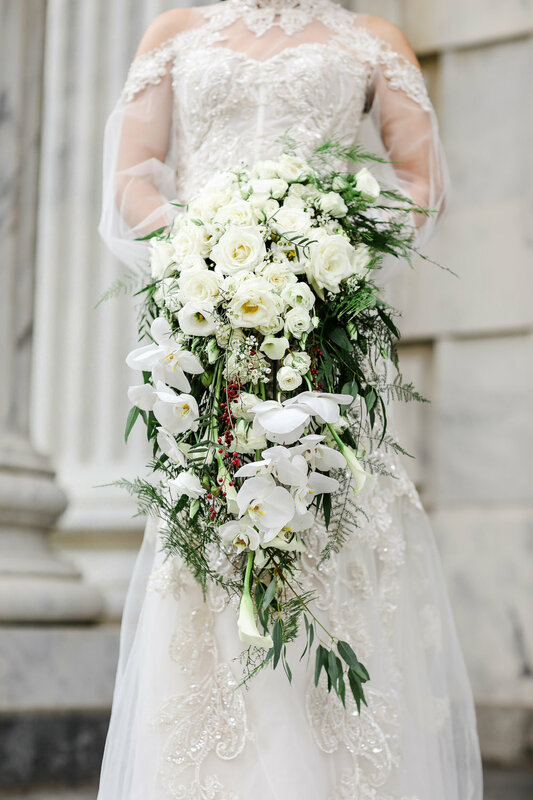 The Flower Gallery created the floral design on the runway and throughout the event and Spark Wedding Events provided all of the entertainment and the incredible sparkler fountain at the finale. Urban Coast provided welcome signs and a gorgeous invitation suite, fit for the most upscale of weddings. Shutterbooth offered a fun GIF booth during the poolside cocktail hour, and Lifelong Photography Studios and Kemarl Lyn Films captured the details and excitement of the event beautifully. Alessi Bakery created custom wedding dress cookie favors for all of our guests to to take home at the end of the night. Thank you for supporting us for the last 5 years. To see more pictures from this event, visit our gallery! !